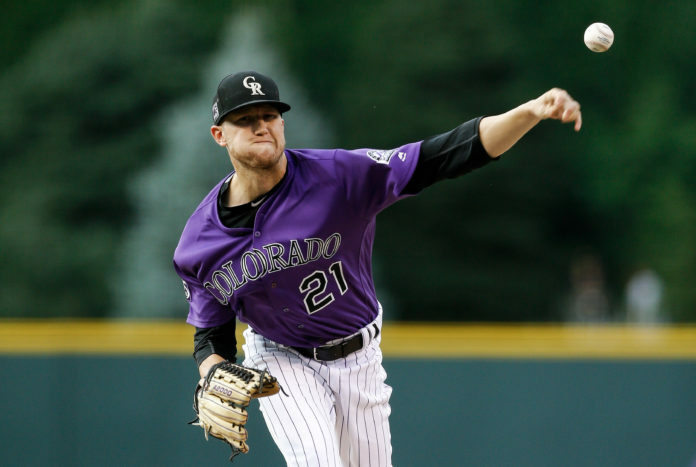 The Colorado Rockies shut out the Pittsburgh Pirates 2-0 Monday night as starting pitcher Kyle Freeland dazzled on the mound, despite a mid-game rain delay. Freeland tossed seven innings of two-hit ball and struck out five as he improved his record to 10-7 with a 3.04 ERA on the season. 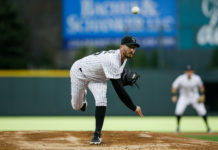 The Pirates’ Joe Musgrove dueled with Freeland, putting up zeroes until the fifth inning, which provided the Rockies with their decisive pair of runs. Nolan Arenado started the inning with a single, which was followed by another single from shortstop Trevor Story. Gerardo Parra then reached first when Pirates’ second baseman Josh Harrison committed an error that also allowed Arenado to score, giving Colorado an early 1-0 lead. 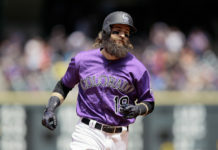 The Rockies added another run in the inning via a sacrifice fly hit by Chris Iannetta to establish a 2-0 lead, a score that would hold throughout the rest of the night. Relievers Seung-hwan Oh worked a perfect eighth inning, extending his streak to six appearances without a run scored since being acquired by the Rockies in July. Embattled closer Wade Davis turned things around on this night, setting the Pirates down in order for his 32nd save of the season. 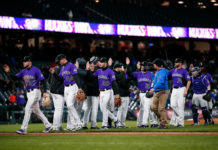 The Rockies have turned things around at home, as well – Monday’s game was the fifth consecutive game in which the Rockies have allowed two or fewer runs at Coors Field; all Colorado wins. The Rockies and Pirates will continue their series Tuesday evening at Coors Field, when Colorado’s Chad Bettis (5-1) returns from the disabled list to take the mound against Piitsburgh’s Jameson Taillon (8-8).